Although I love a good homemade product, there have been many products I just can’t seem to successfully create at home. A few of these products include: dishwasher soap, mascara, eye shadow, adult shampoo and conditioner, and liquid foundation. I’ve tried countless times to make these products, but time and time again my efforts result in nothing but failure, at least when you compare them to the store-bought versions. Through my failures, I’ve come to the realization that it’s okay to not make everything from scratch! In fact, sometimes it’s better for both my sanity and the strangers I must stand next to in public to actually buy certain products. Store-bought shampoo is a prime example–it’s good for my sanity and the stranger standing next to me in the Target line. You’re welcome, Mrs. Stranger. Just a note here…For the products I still purchase, I try to choose the best options available, meaning the products with a minimum amount of bad stuff. 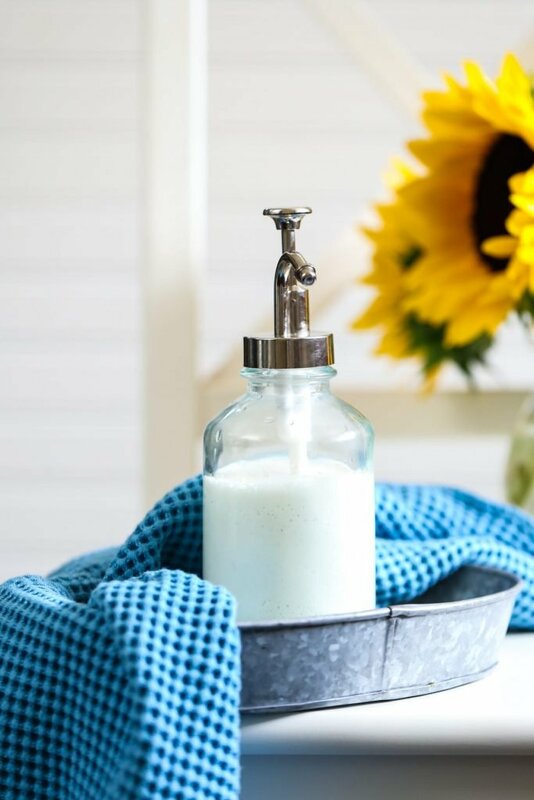 Two years ago, I was overjoyed to discover homemade body wash.
Homemade body wash is super easy to make, and in my opinion, it works just as good if not better than the store-bought alternative. It’s a home run win! I’ve received many comments asking various questions about how to create a thicker consistency. For a number of months now I’ve been working quietly behind the scenes of Live Simply trying to figure out how to create a thick and creamy body wash, almost more of a shower gel. I’ve tried numerous methods to thicken my current recipe, but every effort resulted in DIY failure. Finally, a few weeks ago, I decided to start from scratch and create a brand new recipe in hopes of achieving a thick, moisturizing shower gel. And guess what? 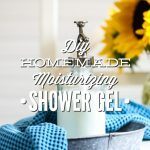 To create my successful homemade version of shower gel, I used: shea butter, glycerin, a nourishing oil, water, castile soap, and the secret ingredient…xanthan gum! Of course, the point of today’s post is to share my homemade shower gel with you–it’s dreamy, my friend! Trust me, you’ll never go back to store-bought shower gel. Shea Butter: This ingredient is one of my absolute favorite DIY products. Shea butter is an amazing moisturizer and contains healing properties (thanks to the Vitamin A). Shea butter is also super versatile. 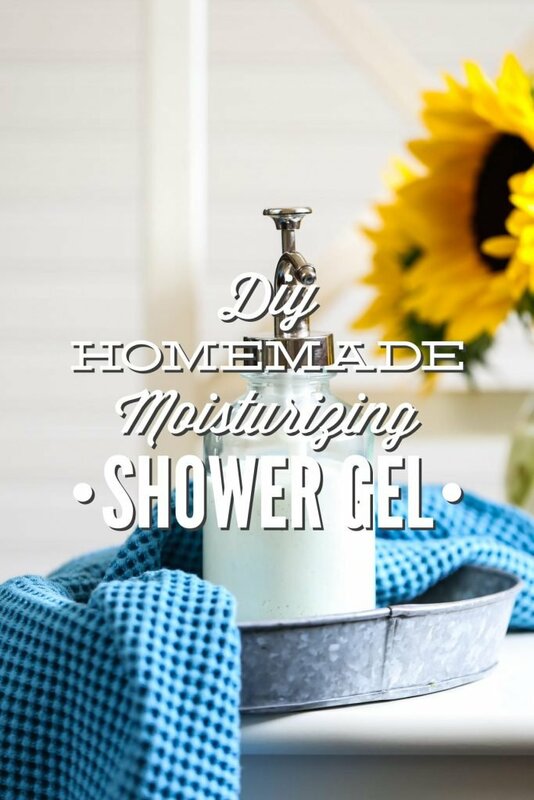 It can be used to make everything from homemade lotion to lip balm to shower gel. Nourishing Oil: Since oil dissolves oil, it’s only natural to add a nourishing oil to a cleansing shower gel. The nourishing oil also adds moisturizing properties to this gel. I’ve used jojoba, grapeseed, and good ol’ olive oil with great success. Castile Soap: One of my favorite multi-purpose DIY ingredients. 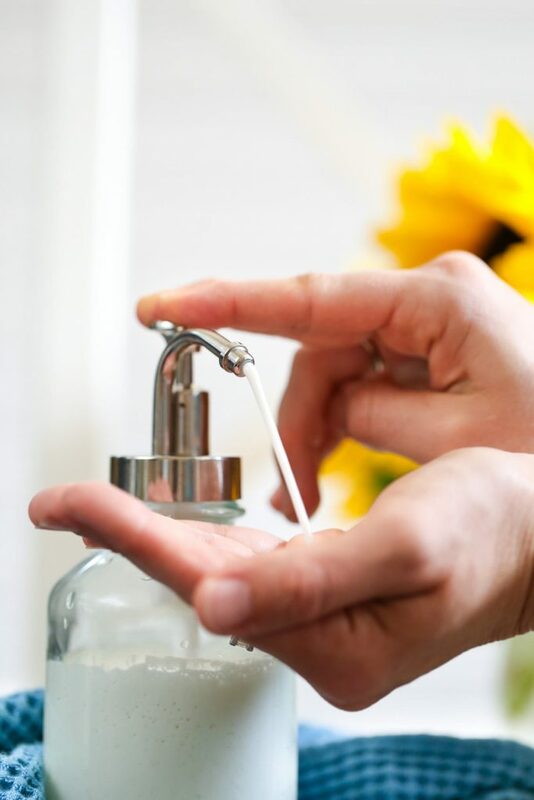 Castile soap is a concentrated vegetable-based soap with easy to recognize ingredients. I use castile soap for everything from homemade laundry detergent to body wash and hand soap. I recommend using either the Baby Mild Castile Soap or Tea Tree Castile Soap for body-care products. Glycerin: Glycerin adds nourishing moisture without weighing down the shower gel. This ingredient also helps dissolve the xanthum gum, which makes it absolutely necessary–sorry, no substitutes this time. Glycerin sounds like a fancy ingredient, but most drug stores sell it in the beauty or medicine departments for a fairly low price. Xanthan Gum: This is the secret ingredient that’s absolutely necessary for creating a creamy shower gel! Xanthan gum is sold in the baking aisle (I like Bob’s Red Mill brand) and is often used to help thicken and stabilize foods, particularly gluten-free foods. 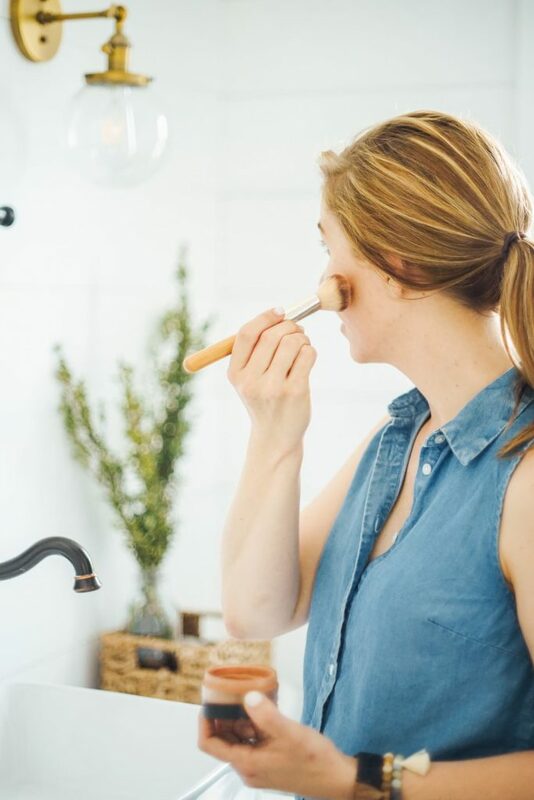 This next part may gross you out, but I think it’s important to know the details about the products we use on our skin (and in our body)…. Xanthan gum is expensive (around $15 per bag) and you only need a very small amount of it to make this shower gel. This means one $15 bag will last quite a long time. And without further ado, I present to you a creamy and moisturizing homemade shower gel. Lather up! I present to you a creamy and moisturizing homemade shower gel. Lather up! 2 TB jojoba oil or grapeseed, and extra virgin olive oil with good success. 1/3 cup castile soap I like to use Baby Mild. Add the melted shea butter, jojoba oil, and glycerin to a medium-size bowl. Sprinkle the xanthan gum over the top. Allow the gum to rest for 1 minute. During this time the powder should sink into the liquid. After 1 minute, use the immersion blender to dissolve the gum into the oil mixture--pulse the immersion blender for 1 minute. Add the castile soap and warm water to the bowl. Place the immersion blender at the bottom of the bowl. Blend the mixture with the immersion blender for 1-2 more minutes, pulsing up and down. 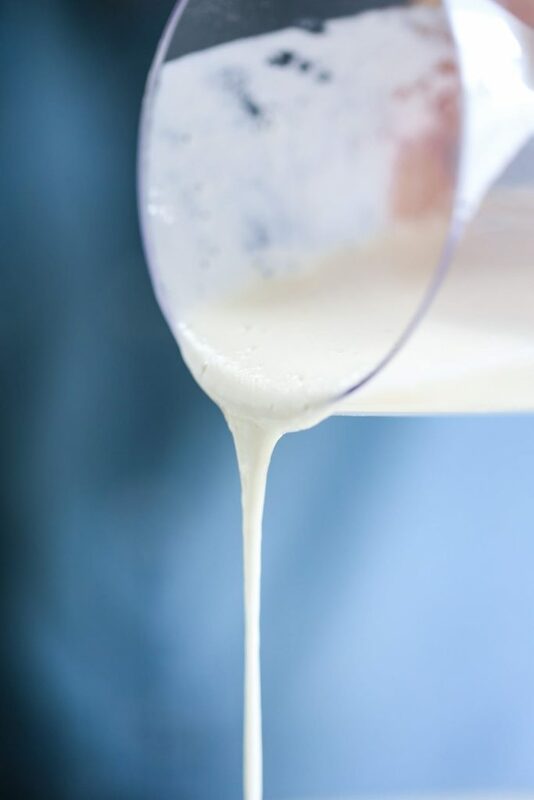 The mixture should turn into a creamy lotion-like consistency during this time. Pour the shower gel into a soap dispenser. I found my container (pictured) at Target. While the mixture won't separate, I recommend giving the container a gentle shake before each use. When you introduce water into a product without a preservative you always run the risk of introducing bacteria, so use water-based products quickly. love your recipes! already made the dish soap, dishwasher tablets (terrific!! ), vegetables rinsing liquid, and I am definitely trying this one this weekend, as I have all the ingredients at home! Thank you, Prettyarty. It’s so great to hear you’re loving the DIY recipes :)! Enjoy the shower gel! Hey Terri, I’m not sure the gel will achieve the results you’re looking for. 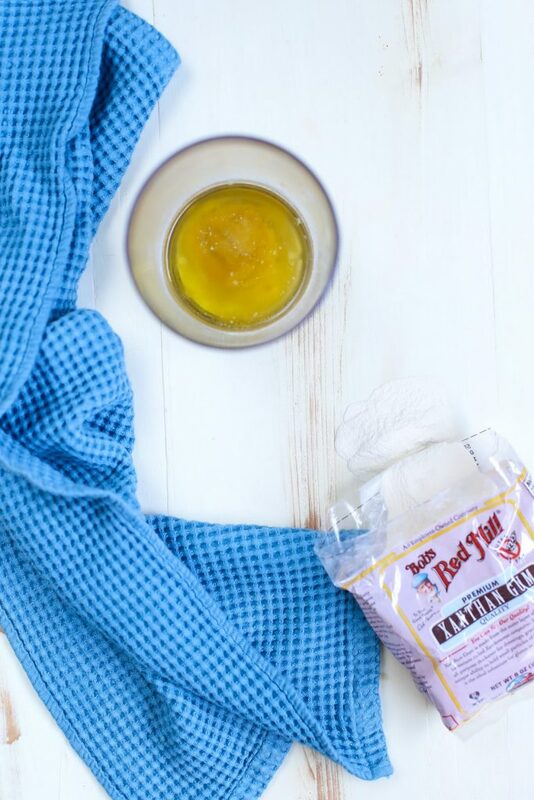 I don’t have an issue with the gel washing off deodorant, but I use the homemade recipe on the blog. I think every deodorant is different, particularly store-bought deodorant. 100% castile soap may be the best option for the deodorant. Thanks for responding. We’ll see how it goes this week. I might switch to the peppermint Dr Bronners that I have. Either way, LOVING the fact that I am using stuff that is better for us and free of harsh chemicals. We have been using the face wash and LOVE IT! So glad I found your website! Awesome, Terri. You’re welcome :). I’m so glad you found Live Simply, too! Can i use guar gum instead of xantham gum ? Hey Jenn, I believe so :). Can I substitute tapioca starch for the xantham gum? Hey Inna, I’m not sure if tapioca will work. It’s worth a shot. I know guar and xanthum gum both work to thicken cold mixtures. also I used my soap that I make myself so perhaps that was the difference …. Hey Mag, A mousse consistency sounds about right…it should be slightly thick. It may be a bit airy after the blending process, which is completely fine. Does the shower gel pump through a soap dispenser bottle? 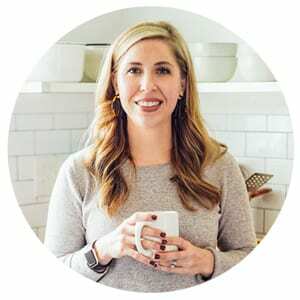 Welcome to Live Simply, Aoife! It’s so great to have you here. The dispensers are from Target, found in the bath section :). Love love love your creations! So far, I have made your face wash, astringent, serum, laundry detergent, deodorant, hand wash and bath wash…all wonderful! I just made this shower gel and love the foaminess but had a hard time getting it into the bottle, which looks just like yours (bought it at Target). I tried a funnel and then finally had to push it in, but it is so foamy and gooey it took a while. Any suggestions ? And thank you soooo much for your sharing all of your great healthy beauty and laundry recipes! Hey Min, It’s so great to hear you’re loving the recipes on Live Simply. I use a chopstick or skewer to push the shower gel through the funnel. Also, Plastic or metal funnels are a bit difficult for thick liquids (like this gel) since you can’t squeeze the funnel to get the liquid flowing. I recently purchased silicone funnel and find it to be much easier to use for these projects. Hey Bianca, I really like a brand called EveryDay Shea. The EWG is a great resource to checkout for finding cleaning body-care products: http://www.ewg.org/skindeep/browse/shampoo/. I am new to the homemade body wash adventure, and have some questions after my first try. I did not have an immersion blender, and used a traditional blender; it seemed to mix well on a high speed. Consistency and texture were as you described, and the softness of skin afterward was really positive. However, I would say lathering was minimal to moderate, it seemed to take quite alot of wash to lather, and the wonderful scent did not linger on skin like storebrand wash/gels (smell was really fragrant in the bottle). Hoping you have some suggestions. Thank you! Lathering agents are oftentimes added to store-bought body wash to give soap a big lather (same with laundry soap). I’ve found that most homemade products don’t have the same kind of lather. The end result should be the same, a clean body, but the lather will be different. The same goes for the scent. Since the scent used is natural versus a synthetic perfume, the scent doesn’t stick around for a long period of time, but should provide an “uplifting” shower experience and even beneficial properties for the skin. I made your shower gel, and it is too thick to get into a bottle. Please tell me how I can “thin it out”. Is it too late at this point? Do I need to start over? Love your recipes! Hey Lisa, The gel should be really thick, so you’ll probably need to use a funnel. If it’s still too thick, then you could add water. Hi that recipe sounds amazing however I’m sceptical about mixing water with oil, which should definitely separate. But you said it doesn’t, how come ? Happy New Year!! It almost feels creepy to finally admit how much I use your blog. My laundry room has transformed to all DIY thanks to your laundry soap and stain remover recipes! The boyfriend actually brings his shirts over so I can de-stain the arm pits 🙂 I have also started making a batch of face wash for myself and a batch for him to have at his apt because he says it makes his skin “younger.” Your homemades have almost become a (healthy?) obsession for me! I just tried making this shower gel. I don’t have an immersion blender, so I just used my Ninja pitcher and it seemed to work fine. I had a brain bubble and forgot to boil my water…how long will the gel last with just the tap water?? …ok, I dumped the gel into a ziplock baggie, cut a corner off, and squeezed it into the dispenser. Worked like a charm. Now… It seems to have trouble coming out of the pump… Ideas? Annnnd what is best to use for the actual cleaning part? My loofah just kind of swallowed it all up… Thanks! Hey Lucy Ro, Great idea! I’m glad that method worked. The gel can be pretty annoying when it comes to adding it to the jar ;). I use this on my hands or a washcloth. Hey Lucy, Personally, I’ve used filtered tap water and let my gel sit for about 4 weeks without any issue. If you notice any odor or discoloration, I would toss the gel. PS: I’m so glad you’re enjoying Live Simply!!! I love hearing transformation stories, from the laundry room to the fridge. Thank you for sharing :)! hello to you from the other side of the world in asia. i’m a newbie to DIY and very interested to try out your shower gel as i’m having hard time finding commercial product which doesnt make my skin dry. but i’m having hard time defining what nourishing oil is. i saw your jojoba oil which says natural skin care oil on the pack. is it the same as nourishing baby oil or sebamed baby skin care oil? Hi, Kristin – I made one of your shower gels a few days ago, and ended up putting it down the drain…my fault, I messed up the ingredients! Then I saw this one and made it tonight. I’ve noticed with both of them, they have that harsh “unscented” smell to them (I hope you know what I mean, I probably sound crazy). I used 5 drops blood orange and 5 drops grapefruit, but all I can smell is the castile. I used Dr. Bronner’s unscented baby mild. Will everything I make with that have the “unscented” harshness to it? Just wondering. Thank you for all of your great recipes, you rock! Hey Ree, The castile soap definitely adds a unique scent to this product (and others). I don’t know if the scent truly ever goes away, but you could try increasing the essential oil amount since this recipe makes a lot of gel. PS-I’m so glad you’re enjoying the recipes! Hi, again! I just wanted to let you know that after the gel sat for a couple days, the smell wasn’t as strong. I added a few more drops of EO and it turned out well! I also wanted to ask if you have any experience using Kirk’s Original Coco Castile bar soap? I was looking for Dr. Bronners, but the store I was in had Kirk’s so I thought I’d give it a try. Thanks again! Hey Ree, That’s great! Thank you for sharing. I haven’t tried Kirk’s brand yet. Hey Kristin. I would love to make this but I don’t have an immersion blender. Do you think I would get the same result with a blender or whisk attachment on a hand mixer? Thanks! Hey Susie, I think a whisk may work, but I’m not 100% sure. If the gel doesn’t “gel,” it will still be good to use. I’m afraid the blender may cause the soap to get too frothy. Hey Manisha, Unfortunately, Thank you! I’m not sure about a soap alternative. Another concentrated vegetable-based soap should work. Hey, Kristin! I have made the shower gel two (or three) times. My shower gel is so thick, I can’t get it into the containers. I use the 2 tsp. of guar gum, not xanthan gum. You suggested either or. I don’t know what I’m doing wrong. I came back to your site to make sure I’m doing it right, and I am. Should I cut down on the guar gum or what? It is like toothpaste, only worse. I need your help! Hey Barbara Ann Jordan, I would add a bit more castile soap to help water down the current product. If you’re going to make it again, it sounds like you’ll need to reduce the guar gum. The beauty of guar gum is that you can add more once the product is made, if needed. I’m not sure why it’s turning out so thick. It should be thick, but not as thick as toothpaste. Let me know how it goes! Do you think the shower wash would work if substituting the shea butter for cocoa butter? Hey Marie, I believe so. It will probably smell great, too! Love all your recipes and really love this body wash recipe. I’ve tried many others and this is my favorite. I did something a bit different for the thickener and wanted to share. 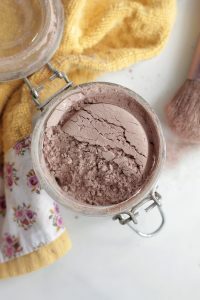 I used about 1tsp of slippery elm powder and it worked very nicely. It has a brownish color and an earthy smell. I added ylang ylang and vanilla and it created a beautiful aroma. The 1st time I made it I used guar gum and you only need a pinch because it becomes very thick! I dilluted it with lots of water and it worked amazing as hand soap 🙂 thank you for this great recipe! Hey June, Thank you so much for sharing your experience. Great notes! PS: I’m glad you’re enjoying the recipes on the blog!! I’ve been using your recipe for a few months now and I think it’s awesome. It’s thick, slightly sudsy and makes my skin feel moisturized. I don’t suffer from dry skin, but my husband, who is dark skinned, does and he loves it as well! My only complaint is that it leaves an oily residue in my shower that’s annoying to clean. I use vinegar, water and soap (diy shower door cleaner) to scrub it every few days. It cleans up ok with that. I haven’t used this in my privates and I don’t wash my face with it. Just my body. Also I use piperwai (shark tank natural deodorant) and I don’t have an issue with this washing it off. Thanks for this recipe. I’m enjoying it! I will be checking out some of your other recipes too! I just made my second batch of this body wash and I love it! I thought I was going through it pretty quickly until I found out my husband loves it too! He did ask me to make him his own bottle with a scent other than lavender 🙂 Thank you for another terrific recipe. Hey Denise, That’s so great to hear! Does this have the consistency of a true shower gel or is it more fluid? Hey Penny, This is a very thick and creamy product. It’s not watery like a homemade soap. I’m new to making natural products. I have a few products that I make and I wanted to make a body wash. As you know there are really no recipes for body wash. Question: What preservative can I add to decrease changes of bacterial growth because of the use of water in the recipe and increase shelf life? Phenonip? Question: Can you add fragrances such as peach, white tea & ginger etc? Hey Robbin, Here are my personal safety tips for making body-care products: https://livesimply.me/2016/09/02/my-safety-tips-for-making-and-using-natural-products/. 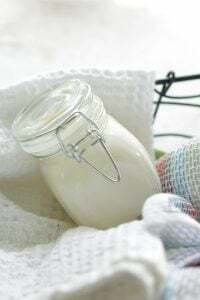 This post is fantastic about preservatives: https://thenerdyfarmwife.com/natural-preservatives-for-homemade-lotion-and-cream/. You can use essential oils. I don’t have any experience with the ingredients used to make fragrances, so I can’t recommend them right now. 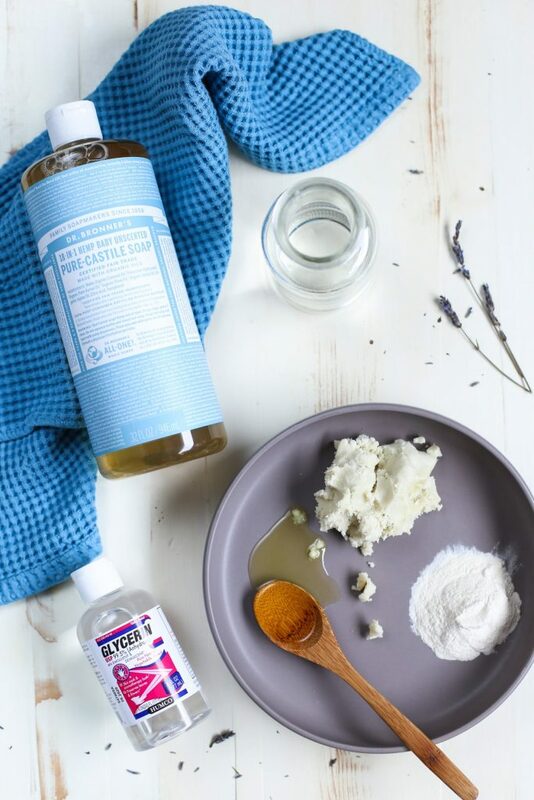 I personally love this body wash recipe which uses a hydrosol, if you’re looking for a recipe: https://livesimply.me/2016/05/29/easy-diy-foaming-body-wash-multi-purpose/. Love your blog and are trying out everything you post on it! I have been making hand soap using liquid Castile soap for a while now. However, I just find it too thin and i personally do not like foam pump. When you come up with this recipe, I am very excited to try. Unfortunately, I could not find the x gum in your recipe. So i used cornstarch instead. I boiled the water in the pot, put a heap table spoon of cornstarch in a small glass with some cold water to loosen it up. then pour it into the boiling water, keep stirring till it thickens (if it doesn’t then you need more cornstarch). after the cooked cornstarch cooled down, i then add jojoba oil and soap into it, just stir till all ingredients are well combined. it works perfectly well at the moment, however, I am not sure what is the effect these thickening agent will have on our drains? i am just a bit worried that it might block the drain in the long run. is there any reason you didnt use cornstarch? Hey Angela, I’m so glad you’re enjoying the blog! That’s so great to hear that the cornstarch worked well! I haven’t tried using cornstarch before, and honestly never considered it, so I’m glad you thought of that. There’s such a small amount of thickening agent used that I don’t believe it should be an issue–it hasn’t been for me. Enjoy! Thanks for this lovely recipe. It turned out beautifully when I made it last night. I was a little disappointed to find that the solution settled overnight and my full bottles of body wash are now more like half-bottles. Any idea as to why this might be? I user an immersion blender and followed your instructions to a T.
Hey Mary, I’m not sure what may have happened, but one thought is that the ingredients didn’t fully emulsify? Is there separation in the bottle, or did the amount just reduce in half? Let me think about this some more, too. I make hair conditioner that’s thickened with cornstarch and it works great! This allows me to make a lighter (as in not so heavy in solid oils) product that’s still all natural. I tried a recipe today that was supposed to thicken with gelatin, but I ended up adding a cornstarch slurry to get it thicker. Your recipe seems to thick to pump–I agree to thin to “taste” add more castile soap. I would like to know if the xanthium and glycerin is necessary if you’re not adding water. Hey Felice, I’m not sure what the shower gel will be like without all three of those ingredients. You could try it. I was wondering how long is this product good for until we have to begin worrying about bacteria? I saw in your post that you said to use water based products quickly. In your opinion how long would this body wash be safe to use? Thank you in advance. Hey Robin, It should last a couple of week, maybe three weeks (using distilled water). Just keep an eye out for any growth, discoloring, or odors. Could i use gelatin powder instead of xanthan gum ? Hey Maria, I don’t recommend that sub. Hi Kristin, I LOVE YOUR DIY stuff!! I made body wash last night. I didn’t use your exact recipe, but it was defiantly inspired by this recipe. Neat tip: Ground chia seeds can be used instead of the xantham gum. Thanks google! The chia seeds have a cool gel property just like they do when put into liquid. Grind the chia seeds with a spice/coffee grinder or the milling attachment on the nutribullet (this is what I used). Then you simply mix a 1:1 rato of water to chia seeds. This does give the body wash a speckled more earthy appearance. I haven’t used by creation yet. I’m hoping the longer the seeds sit the more gelatinous my body wash will become. Awesome, thank you for sharing, Margot! Great idea. Can I skip the oils because I have oily skin an add panthenol in watter? You can try, Suzane! I’m not 100% sure what will happen. Yikes, Kathy! Thank you for sharing. Can someone tell me what it means when she says to use water based products quickly? How quick are we talking?? Can you replace the distilled water with liquid aloe? Sure, Robbin. You’ll just have to watch for spoilage, especially if the aloe juice is fresh and needs refrigeration. Hey Isaura, Since this doesn’t use a preservative, I recommend making a small batch. This recipe is best used in a 16-ounce soap dispenser. Would this recipe become a body lotion if the castile soap was left out? I am looking for a creamy, moisturizing body lotion. This seems like this recipe might have potential . . .
Hey Leslie, Shea butter is a good base. Here are two recipes for a lotion on my site: https://livesimply.me/2017/03/31/how-to-make-easy-body-butter/ (a thick body butter); https://livesimply.me/2016/08/12/smooth-homemade-lotion/ (a silky lotion). This is for the face, but would also work on the body: https://livesimply.me/2017/03/24/shea-butter-cream-facial-moisturizer/. Could you swap distilled water for a floral hydrosol like lavender or rose? Hey Elizabeth, Yes, you could :). Could you sub a hydrosol for the water to make the product last longer? Or is there a natural preservative you could add to prolong the shelf life? hi kristin, i’m hoping to make some of this but i’m a little concerned about some comments saying it leaves an oily residue. i’m disabled and could easily slip in the shower. do you think it will be ok? thanks. Hey Natalie, I would be cautious and skip this recipe and use something like just castile soap instead. Mine came out thick and kinda goopey, almost like snot? and it doesnt lather at all. Its super creamy and thick… but is it supposed to have that goop consistency? And it should lather up, right? Hey Taylor, Hmmm, there should be some lather. The later won’t be like commercial soap, but there should be something. I’m not sure what may be happening. A goop consistency sounds about right–it should be thick. Hm. i will have to try making it again and see what happens. i could have possibly not done things in the right order. Would that effect this recipe? Hey Taylor, It could. Does it have any lather? theres no lather, super creamy with a thick consistency, but no suds like the picture of hands using it shows. Great Recipe. Just made a batch and this is by far the best recipe I have used on the internet. I used my blender instead of immersion stick and it created a thick creamy gel-like consistency which I love for the shower. Did forget to add the essential oils thought! 🙁 Next time! I made a batch of body wash last week using honey. I love the beneficial properties of honey but not the smell (and adding EO’s to it didn’t mask the scent). So I was looking for a “non-honey” alternative and found yours. I have all ingredients except the xantham or guar gums. I do have arrowroot powder though from another DIY. Could I use that instead? can i ask , this will be emulsified , or the oils will be separated after few days ?? Hey marwa, The mixture should emulsify. You may have some separation over time, but nothing substantial that can’t be quickly shaken. Do you not need to add a preservative to this because of the water, otherwise it will mold? 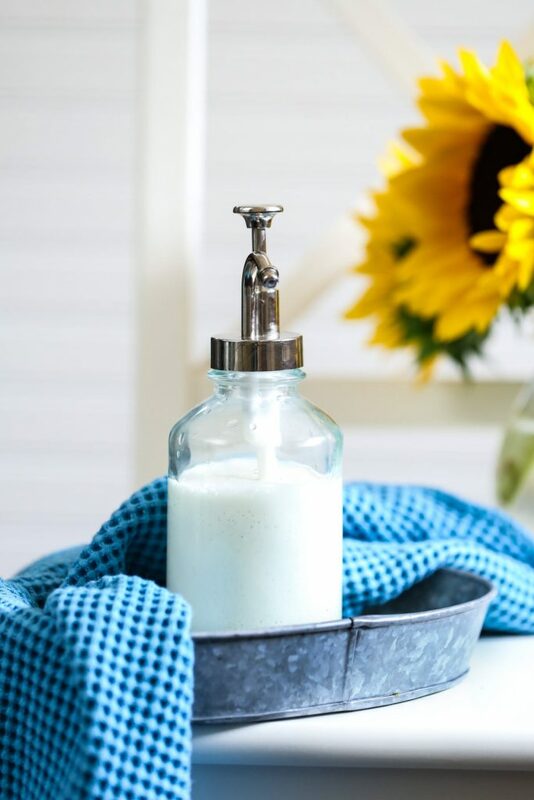 I love this recipe and have been using it as hand soap to prevent dry, red skin during our Wisconsin winters. However, I’ve noticed it seems to be yellowing our towels where everyone dries their hands. Do you have any ideas what could be causing the yellowing and what I can do to prevent it/remove it? Thank you! Hey Stacy, I honestly have no idea. Maybe the shea butter? Do I use 2 tbsp of jojoba oil and 2 tbsp extra virgin oil, or 1 or the other? I have tried out this recipe and it creates a great shower gel! There’s just one problem I have with it: when washing it off, the skin becomes kinda sticky, my hand can’t glide smoothly over my skin. This is only when still in the shower, as soon as I’m dry it’s fine. I have tried several variations, leaving out the shea butter, leaving out the jojoba oil, leaving out glycerin… while it’s a bit less sticky, it’s still not a great feeling. I guess the main culprit is the Bronner Baby soap? Do you have any idea how to improve this? Hey Andy, Hmmm, I’m not quite sure what would help. I made the prescribed batch and it was awesome but too thick and goopey. I added a little more water and castile soap to make a bit thinner. i also added lemon juice and some active whitening ingredients like SEPIWHITE, GIGAWHITE and KOJIC ACID for whitening effect. is that okay? thanks for sharing. Hey NGkool, I can’t speak to what you added since I don’t have experience with them. Good choice to add more water and castile. Enjoy!